Gaspereau Valley Fibres hosted a spinning workshop today with Marilyn Rand, from Lambs Run Studio. Brenda allowed me to spin all day on a Majacraft Alpaca wheel. It was a joy to work such a wonderful wheel. 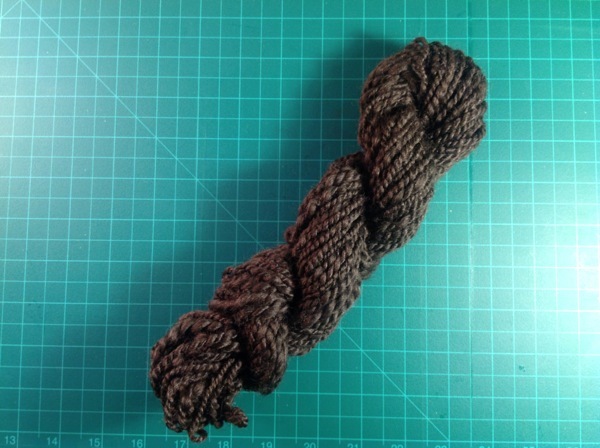 The skein of 70% Merino wool and 30% silk spun well. This is my second day of spinning ever and I truly enjoy the experience. Thank you Brenda and Marilyn.